The 42nd government of Turkey was a coalition government of Republican People's Party (CHP) and some independents. The 43rd government of Turkey was a minority government led by Süleyman Demirel of Justice Party (AP). The Herd is a 1978 Turkish drama film, written, produced and co-directed by Yılmaz Güney with Zeki Ökten during Güney's second imprisonment, featuring Tarık Akan as a peasant, forced by a local blood feud to sell his sheep in far away Ankara. The film, which went on nationwide general release on 27 September 1978, was screened in competition at the 30th Berlin International Film Festival, where it won Interfilm and OCIC Awards, the Locarno International Film Festival, where it won Golden Leopard and Special Mention, was scheduled to compete in the cancelled 17th Antalya Golden Orange Film Festival, for which it received 6 Belated Golden Oranges, including Best Film and Best Director, was awarded the BFI Sutherland Trophy and was voted one of the 10 Best Turkish Films by the Ankara Cinema Association. The 30th annual Berlin International Film Festival was held from 18–29 February 1980. The Golden Bear was awarded to the American film Heartland directed by Richard Pearce and German film Palermo oder Wolfsburg directed by Werner Schroeter. Trabzonspor are a professional Turkish sports club located in the city of Trabzon, Turkey. Formed in 1967 through a merger of several local clubs, the men's football department of Trabzonspor have won six Süper Lig championship titles. Trabzonspor also have a women's football team and a men's basketball team. Yasemin Dalkılıç is a Turkish female free diver. She holds numerous records in different categories of free diving. Though still in the middle of her career, she is already considered to be one of the all-time greats in the sport. Abdi İpekçi was a Turkish journalist, intellectual and an activist for human rights. He was murdered while editor-in-chief of the one of the main Turkish daily newspapers Milliyet which then had a centre-left political stance. Muhsin Ertuğrul, also known as Ertuğrul Muhsin Bey, was a Turkish actor and director. Ayhan Işık was one of the pioneers of Turkish cinema and actors in Turkey, the most loved Turkish leading actor in the 1950s and 1960s. 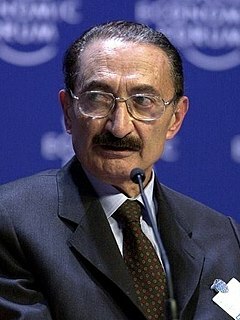 Mustafa Bülent Ecevit was a Turkish politician, poet, writer, scholar, and journalist, who served as the Prime Minister of Turkey four times between 1974 and 2002. He served as prime minister of Turkey in 1974, 1977, 1978–79, and 1999–2002. He was the leader of the Republican People's Party (CHP) between 1972 and 1980, and in 1989 he became the leader of the Democratic Left Party (DSP). Turhan Feyzioğlu was a Turkish academic and a politician. The 33rd government of Turkey was a government in the history of Turkey. It is also called the first Erim government. Events in the year 1971 in Turkey. Events in the year 1973 in Turkey. Events in the year 1974 in Turkey. Events in the year 1975 in Turkey. Events in the year 1976 in Turkey. Events in the year 1977 in Turkey. Events in the year 1978 in Turkey. Events in the year 1969 in Turkey. Events in the year 1980 in Turkey. Events in the year 1981 in Turkey. Turkish presidential election was the election of the 7th president of Turkey in 1973 in the parliament. The 15th Grand National Assembly of Turkey existed from 14 October 1973 to 5 June 1977. There were 450 MPs in the lower house. Republican People’s Party (CHP) held the plurality. Justice Party (AP) was the next party. National Salvation Party (MSP), Democratic Party (DP), Republican Reliance Party (CGP), Nationalist Movement Party (MHP) Turkey Unity Party (TBP) were the other parties. The 16th Grand National Assembly of Turkey existed from 5 June 1977 to 12 September 1980. There were 450 MPs in the lower house. Republican People's Party (CHP) held the plurality. Justice Party (AP) was the next party. National Salvation Party (MSP), Nationalist Movement Party (MHP), Republican Reliance Party and Democratic Party (DP) were the other parties.